This simple-to-use numbering solution accommodates small jobs for quick delivery to your customers. The COUNT™ TableMatic Plus offers an easy, economical numbering solution that’s ideal for small jobs that turn quickly. The TableMatic Plus can be used for crash numbering of NCR forms up to 6 parts, or numbering virtually anywhere on the paper. 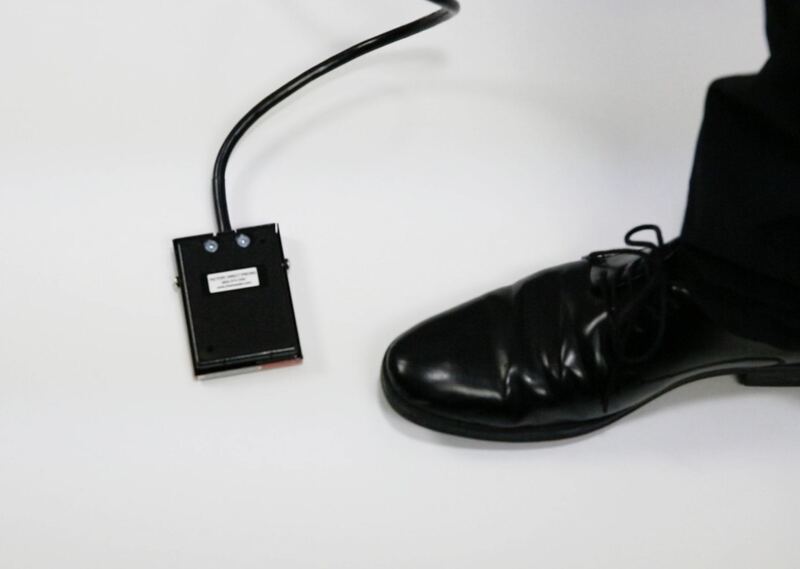 The simple foot pedal operation means anyone in your shop can use it, yet offers a range of features: drop zeros, a repeat function, numbering head pressure adjustment and a patented self-inking cartridge. 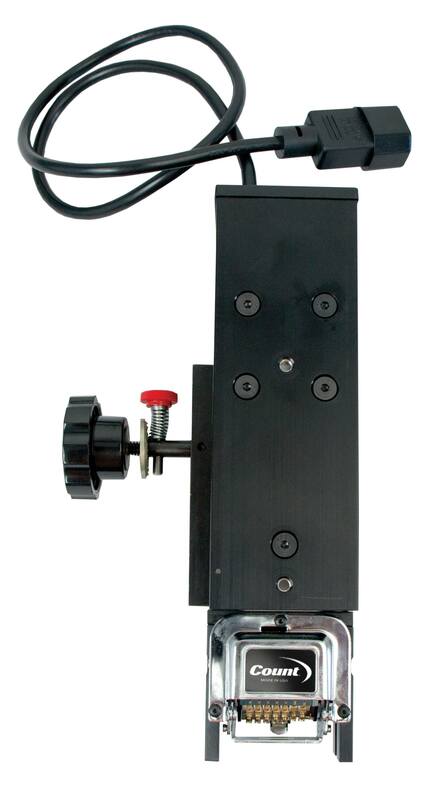 Plus, a magnetic backstop and built-in side rails ensure consistently accurate registration. 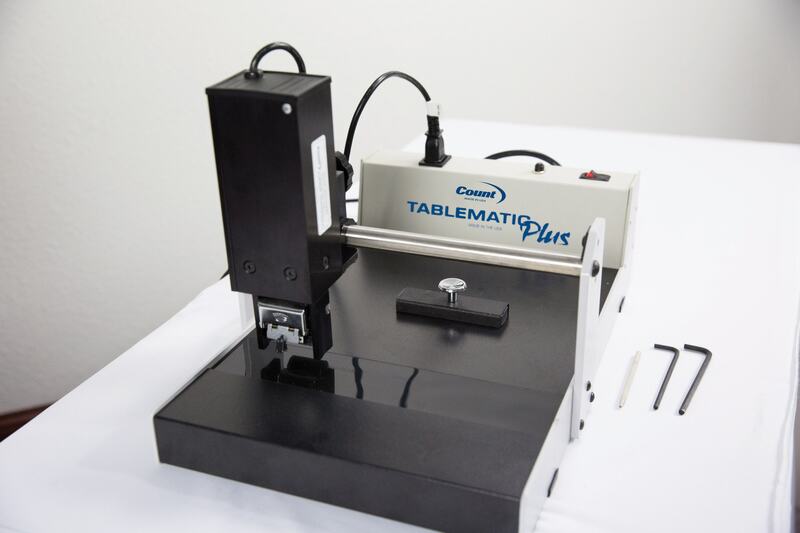 TableMatic Plus with its proven track record, provides a convenient, economical way to number. 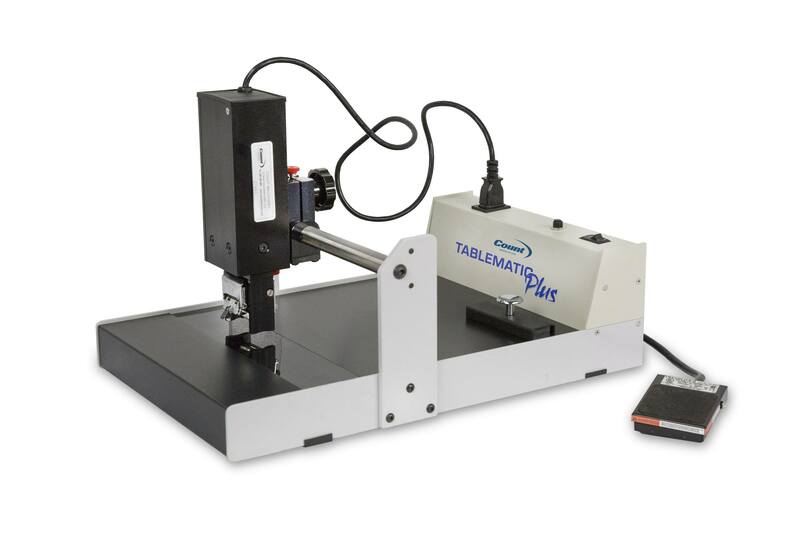 Hand-fed and foot pedal operated, the Tablematic Plus is easy to set up for any operator, and is designed to accommodate small jobs for quick delivery to your customers. 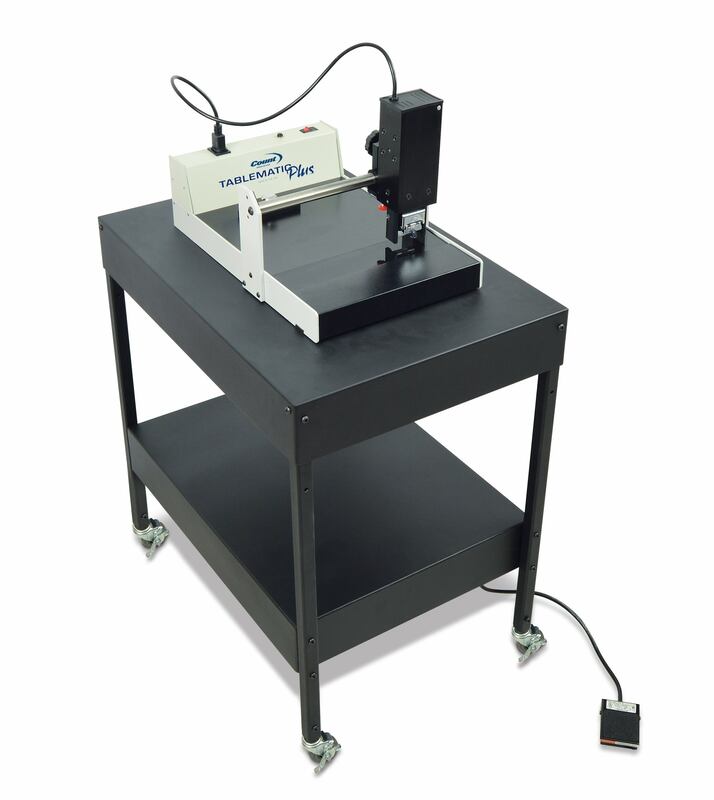 The full 11 1/2″ x 16″ work base accommodates single sheets, crash numbering multi-part forms up to 6 parts and produces clear numbering images. The registration system consists of a magnetic backstop and built-in side rails for positive registration. Click here to see other COUNT Numbering Machines.